Spotify Allows Users to Clear Cache, Free Space, and Save Music. The list of issues with Spotify seems to increase instead of decreasing with time and technological advancements. Over the years, Spotify users have been faced with a confusing situation of either clearing their cache which will also result in clearing all their music downloads along with it or simply leaving it to take more space. But today, we’re updating you on an improvement that happened in the last few weeks with Spotify. Spotify has now added storage management inside its settings and now you can clear your cache without affecting your downloaded songs. Once you’ve purchased your music using a Spotify gift card, you can now finally delete cache without removing your offline downloads too. Normally, you would head over to your device’s settings, find Spotify in the list of apps, tap on Storage, and then clear cache. But in doing this, you never really knew what you would be deleting along with the cache. Would it be only the app’s cache of media and data from your searches, was it the streaming cache, or maybe both? You never know. If you use the Spotify app regularly, you might have noticed that the app is taking way too much storage space of your computer or mobile device. 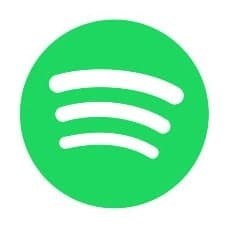 The simple explanation is that whenever you are streaming a song from Spotify, it saves the song on your device so that the next time you play that song, it plays directly from the cache, without having to stream the track from its server again. Therefore, the more songs you streamed from Spotify, the more space it consumes on your device. Now sometimes lagging occurs when you use the Spotify app. If you’ve experienced lagging, you know how incredibly frustrating it gets when the song keeps stopping mid-way or has refused to load altogether. When this happens, it might be time to clear the Spotify cache. (Note: if you have a balance from a Spotify gift card, it will remain safely on your account. )The problem with this, however, is that Spotify desktop client doesn’t differentiate between your songs and the actual cache, so you end up deleting your songs while trying to free up some space. With the new settings option on the Spotify app, you can now remove unwanted data and still get to keep your songs. There’s a filled bar with your Spotify downloads, the app’s cache, used storage, and your free storage. Spotify might be calculating certain things differently so don’t worry if you find a bit of discrepancy when you compare the numbers to the app settings ones on Android. The update showed up sometime in the past few weeks. There was a request by a Spotify user in the Spotify Premium music community and a mod replied that he will give the team the feedback. Now, the feature is functional. This really shows that the Spotify team is starting to really listen to its subscribers and they have started to look into the many issues facing the app. Android and iOS users can now clear the Spotify app cache without affecting their downloaded songs. The new feature is available in the latest version of the Android and iOS apps. The option can be found in Settings > Storage within the app. This entry was posted in Spotify and tagged Spotify, Spotify app, spotify gift card.